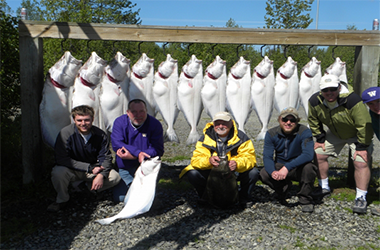 We offer daily excursions to pursue these incredible, fine eating, white-fleshed fish. 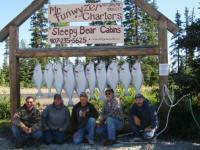 We recommend custom offshore 28-30-foot boats carrying a maximum of 6 people, departing from Ninilchik or Anchor Point. 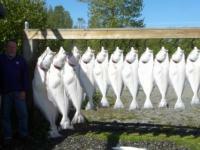 We can also arrange a 50’ft boat out of Homer that can carry up to 18 people. 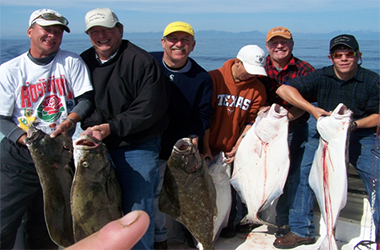 Every charter will provide an opportunity to observe many species of marine life, birds and, occasionally, whales. 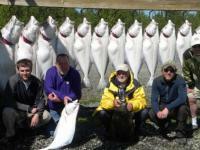 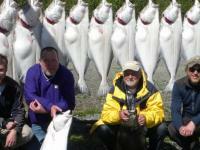 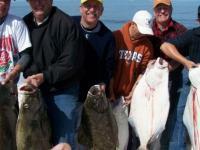 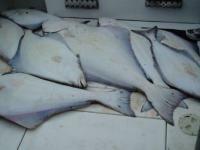 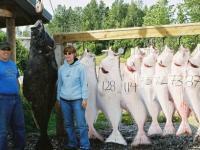 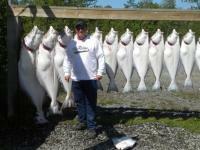 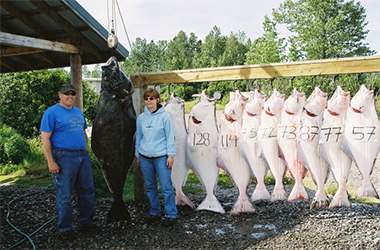 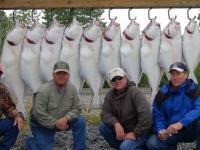 Halibut average 30-50 pounds and sometimes exceed 200-300 pounds.